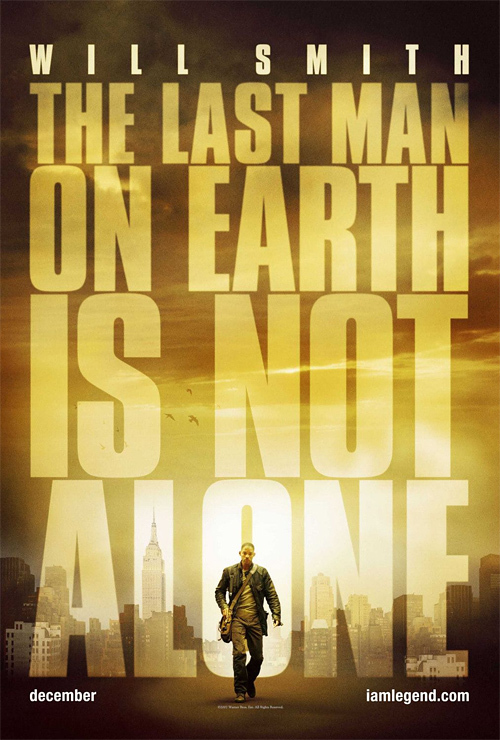 Steph and I went to see ‘I Am Legend’ this past weekend. We LOVE movies. We watch like 5 movies a week. We don’t even have bunny ears on our TV, because if we’re going to watch something, it’s going to be from a DVD. On top of that, Will Smith is one of my favorite actors out there. So when he makes a movie, I’m there.